Shields perform many functions – some electrical, some mechanical. For example, in electrical and electronic circuits they may level out surge impedance along the length of the cable, screen a signal from external excitation, or confine a signal to an intended electrical path; in coaxial cables they may act as “return” wires; in telephone cables they may protect against shorts due to ground surges, provide a barrier against termites and rodents, or filter out low frequency interference from nearby power lines. The Aerospace and military industries have many applications that require weight conscious designs, that in most cases may include the cable. A major contributor to a cable’s weight is the braid or shield material. An alternative to copper braid is metal-clad fibres. Aracon ® is one such material which provides exceptional EMI shielding, strength, and flexibility. Typically switching from copper to Aracon ® fibre can reduce the weight by 60% in the braid. Aracon ® is combined with DuPont Kevlar ® to provide high tensile strength and excellent conductivity. Calmont has vast experience working with Aracon ® for space and military applications. The large number of fine threads and the tendency of yarn to flatten and spread give this material more shielding coverage than copper. 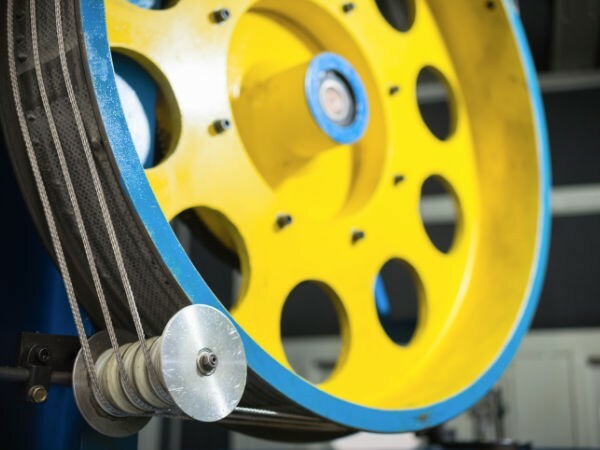 Strength – The density of metal coated fibres are half that of copper, at the same time, the tensile strength of the aramid core (350 Ksi) is from three to ten times higher than that of traditional or high-strength copper (35-95 Ksi).